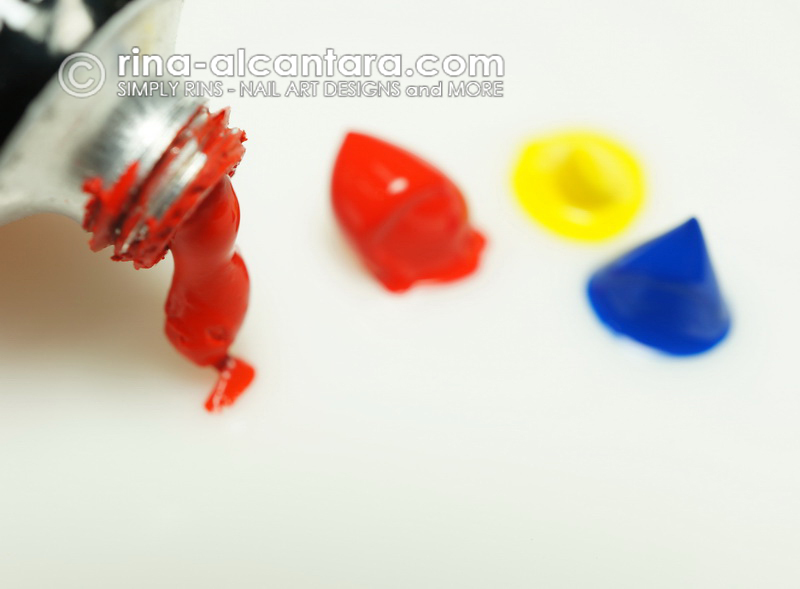 Earlier this year, I wrote an article -- On Nail Art Brushes and Acrylic Paints. It was a response to rising inquiries on what I personally use for nail art painting. Finding the right nail art tools have been a hit and miss for me. I couldn't find a good set of brushes and paints to use locally so I opted to search online and purchase somewhere else. As of date, I've tried a few sets of brushes and acrylic paints. It is true that experience is the best teacher. And even though I found tools that worked for me, I am still in constant search for something better. It's a good thing that there are a lot of choices right now made available through online shopping. However, having items shipped here in the Philippines is quite problematic. A lot of international sellers do not ship here and if they do, dealing with duties and taxes can be very frustrating. Well, I have some very good news. I might have just hit 2 birds with 1 stone. Not only did I found a good set of nail art tool, I also solved my problem with incurred taxes on international online purchases! Let me first tell you about Galleon. It is an online shopping website with the objective of bringing in products that are not available here in the Philippines. It acts very similar to Amazon.com. Highly flexible in terms of product availability. If the item you are looking for is not in their website but is available elsewhere, you may request that item to be added via their support system. In continuous search to discover innovative and unique products. Your item will be delivered straight to your doorstep in 10-15 days! Prices are inclusive of shipping, duties and taxes! I recently acquired a set of professional nail art brushes and acrylic paints through Galleon. I've been using these lately on my nail art designs. I wanted to try them thoroughly first before recommending these tools to you. Let's start with the brushes. The MASH Professional 15 piece Nail Art Brush Kit Set consists of 3 drawing tools, 7 painting tools, 2 liners, 1 dotting tool, and 2 fan brushes. It came with a black soft compartmentalized case that makes storing easy. I used to keep my brushes in a pencil case and sometimes it is hard to look for a specific brush when they are loosely kept together. There are 2 types of nail art brushes that has to be good for me. The detailing and the stripping brush. I normally keep 2 brushes for details or the all-around brush. In the picture, the first 2 brush from the left the ones I almost always use. The longer one for fine details and the shorter one for everything else. It is likely that you will not find a nail art brush that can give you a very fine stroke. If you find a good one, customize it to your preference by trimming the bristles. Aside from the nail art brushes that I have been using, I am very satisfied with the performance of the MASH Professional 15 piece Nail Art Brush Kit Set. 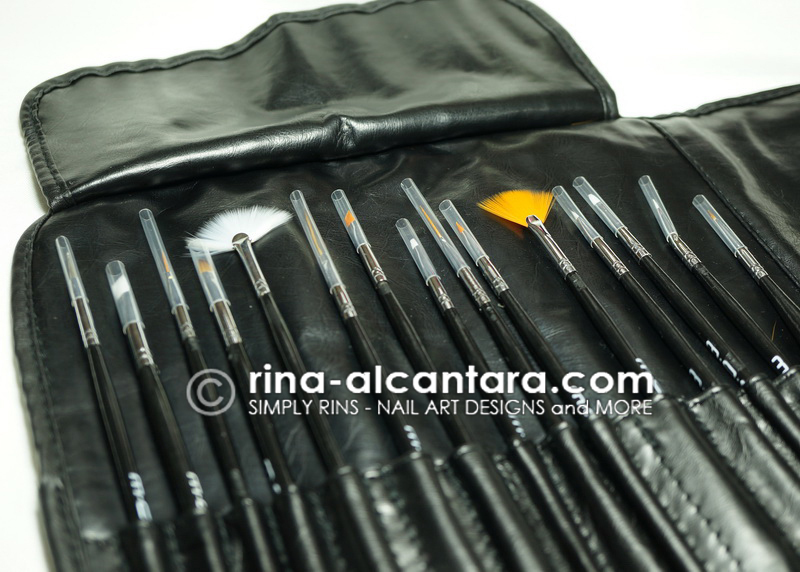 If you are a nail art beginner, I suggest you start it right with these brushes to at least minimize the frustration of looking for a set that works. Now on to the acrylic paint. The type of acrylic paint also matters for nail art painting. A paint with bad consistency will not be manageable and you will just feel disappointed that your strokes are not going where it should be. A good brush is only as good as the paint you use, and vise versa. When my good set of acrylic paint that I bought from an international seller ran out, I started to look a good brand that was available locally. After several failed purchases, I finally discovered Liquitex Basics that was carried by a local bookstore. They came in big 22ml tubes. I figured buying several colors was impractical. So I decided to invest on black and white, the 2 colors that is most used in nail art designs. I also bought a few basic colors from the same line as my tubes ran out. My goal was to complete at least the primary colors so I could just mix them to come up with other colors. The problem with this is that you tend to waste paint because unless you get the shade you wanted immediately, you'll be adding paint after paint to achieve that color you like. Aside from black and white, I never felt I needed to buy big bottles of other colors. But based on my experience, I haven't found a set that is locally available that has the same amazing consistency as Liquitex Basics. 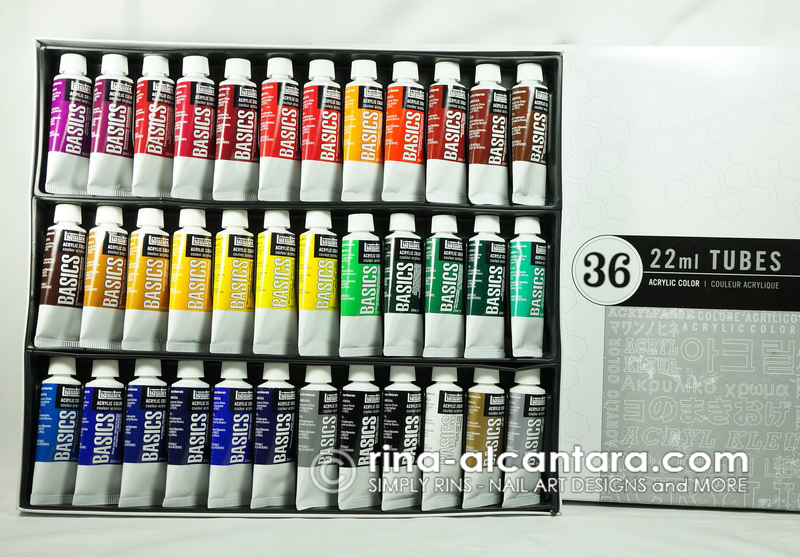 I got the 36 colors set of Liquitex Basics Acrylic and was happy to see a lot of interesting shades. No more mixing unless necessary. It is more practical to get colors in smaller tubes like this one that came in 22ml containers since these colors are not used as much as black, white, and the basic colors. 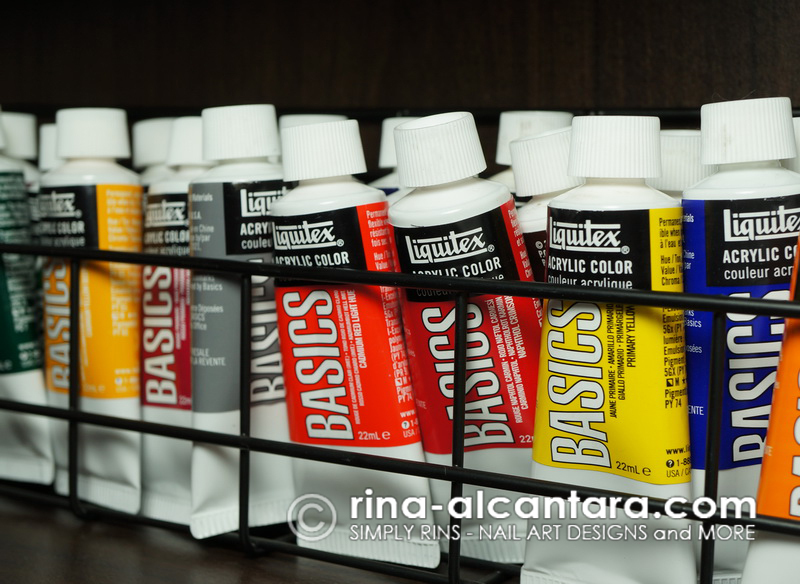 There are 2 things I like about Liquitex Basics. They are highly pigmented so opacity is not a problem in most colors. And, it has a slippery consistency that makes painting much easier and very manageable. Getting colors out of the tube is as easy as 1-2-3. Avoid acrylic paint that are highly densed. 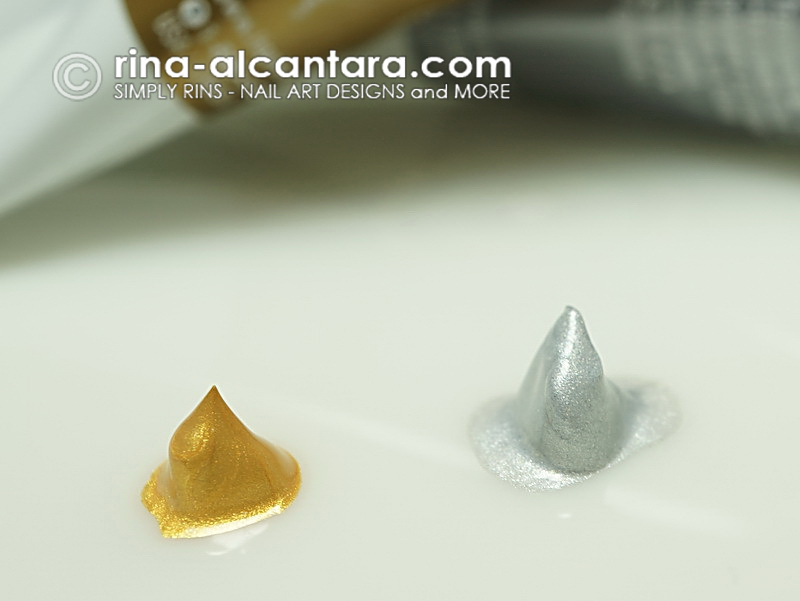 I haven't tried creating a nail design using these metallic colors. But I would love to have them in my inventory when an inspiration or an idea that needs them comes. Surprisingly, the gold and silver colors also had amazing consistency. 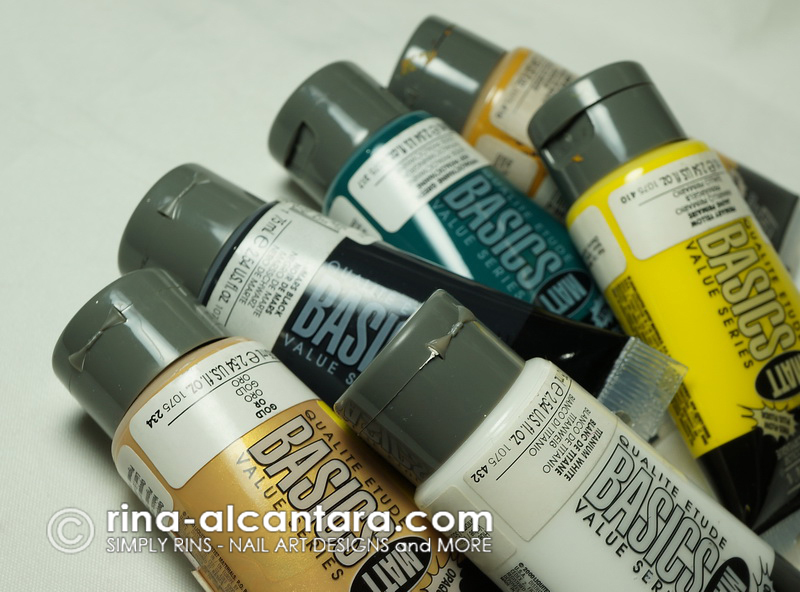 If you are looking for a good set of acrylic paint for nail art, I highly recommend the Liquitex Basics. Personally, I find having the smaller tubes more practical. But make sure you have a big bottle of the essential colors or at least black and white. If you like experimenting with colors, getting the 6-colors pack would be enough. Hopefully this article is helpful to those in search of a good set of nail art tools. And thanks to Galleon for making these products available to us here in the Philippines. This is a very interesting overview. A lot of questions have been answered but I still have one: when I work with acrylic paint I usely have the problem that there's only paint at the borders and the middle of my stripe is empty. It's difficult to fill this empty gap, it's always just the borders that are painted. Can you tell me why this happens and what I can do about it? If u paint it on lightly it won't pull the paint off. Based on my experience, this usually happens when the brush is hardly pressed down on your nails during strokes. It also happens when you have loaded your brush with more than enough paint. I agree with Kelly when she suggested to paint lightly or be careful not to press down the brush as much on your nails. Those paints look really great. I like the easiness of the closure. Thank you so much, Rins, for the article. I got a set of Liquitex Basics for Christmas, and was wondering if they were safe, if they performed well, and also if the darker colors (like Phthalocyanine Blue) would stain my cuticles when I removed it from my nails. I'm excited to know you use them. If you can reply on my other concerns, like the dark colors, it would be a delight! 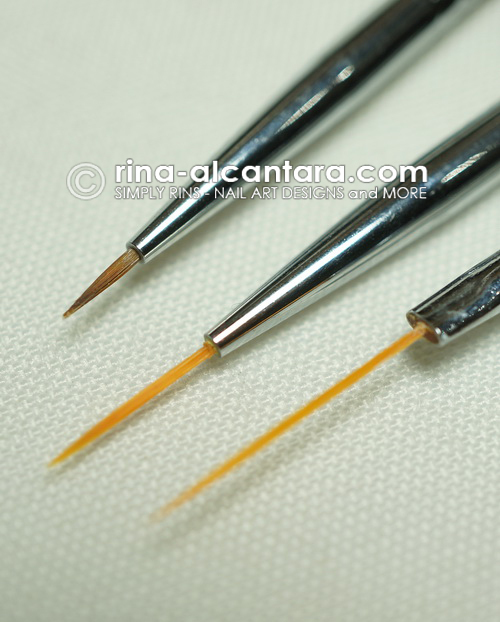 Please read my post on acrylic paints and tools. Link can be found on my sidebar or on the first paragraph of this post. I have discussed most of your concerns in that article. 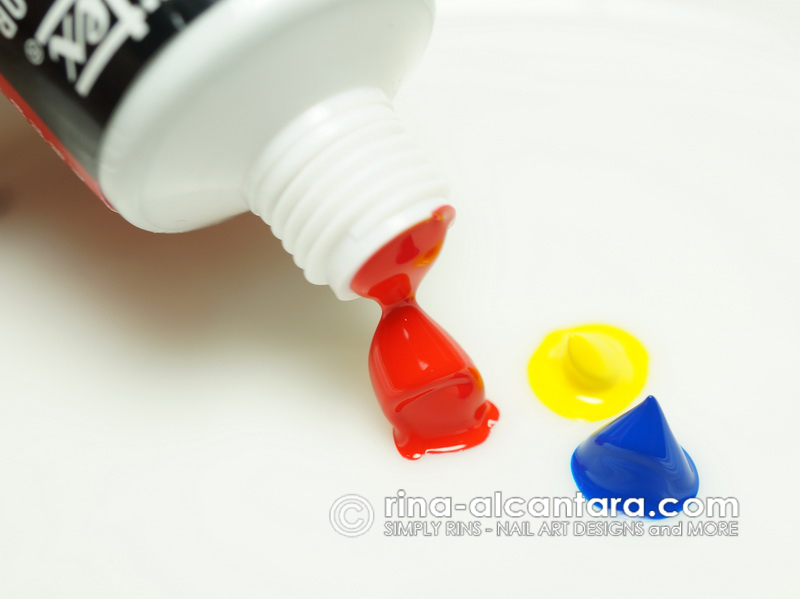 Acrylic paint will not stain your cuticles because you can easily remove them with alcohol or soap and water. It is not like most pigmented polishes that stains the nails or skin. I've stumbled upon your website by chance and I love it. Amazing designs and good tips. I don't know if I missed it, but it would be also great to know what nail polishes you use, why, which ones are more 'stable', etc. Thanks! Thank you for appreciating my blog. I'm glad to know that some people actually read the articles that comes along with the nail art. I always include the nail polish I use in every nail art post. Those are the ones that I use. I'm limited to those that are only available here in my country. جهات الاتصال من الخشب إلى الأرض: أي خشب من المنزل أو الفناء يتلامس مع الأوساخ هي مناطق جيدة يجب التحقق منها. على طول السياج يجب فحصه وكذلك أي شرفات.